Geox Balu Girl B740QC girl's ankle boot. It features Geox's breathable soles that help stop feet from sweating, but doesn't let water in! 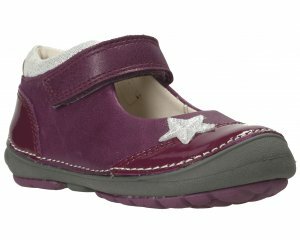 The double velcro fastening allows for adjustability and a secure fit for little feet. A raised toe and heel bumper offer scuff protection, helping the boots look better for longer. A cushioned insole and padded collar offer lasting comfort. A great little boot, available in grey and pink from a size 19-25.